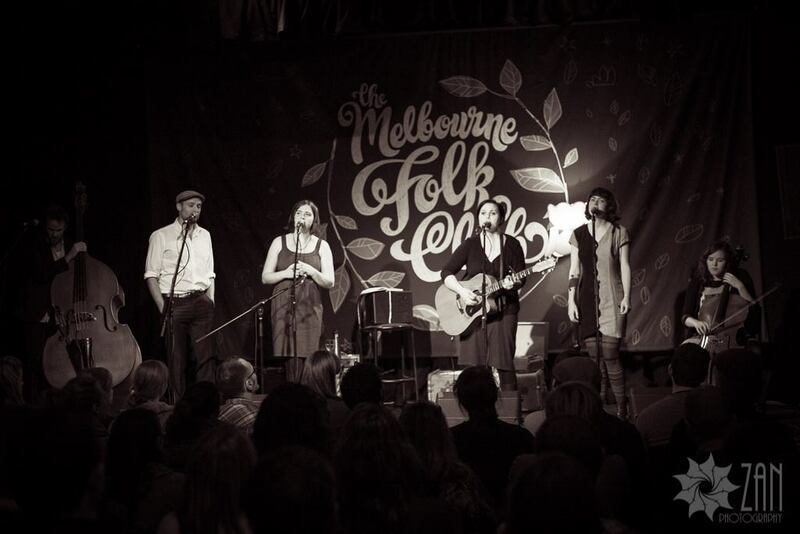 The Melbourne Folk Club is a live music series run in the beautiful city of Melbourne, Australia. The concept of the night is to combine the traditional listening environment and community elements of a folk club with a contemporary and eclectic program. We love the idea of a listening room. A space where people focus on the music, hear the lyrics, the breath between notes, the wrong chord, and the subtle joke between songs. We love to chat as much as the next person, but there is something special that comes from being silent, and giving all your attention to a performer. We also love unique spaces. Places you don’t go every week to see music. It’s not always easy to pull off, but that is the goal. From April 22nd 2014 until April 23rd 2015 we ran a weekly show at the Bella Union in Carlton. It was an incredible year with over 130 performers and over 5000 people coming through the doors. We then went on a break, and are now coming back in November 2015 for a series of shows at the Bakehouse Studios in Richmond. We are also working out plans for regular nights in 2016. We love all the people who have supported the night so far, and who like us, love music and make an effort to support it. We hope to keep coming together over the coming years.